In a previous paper we presented preliminary experiments aimed at the preparation of gel particles with the property to recognize selectively some particular protein (hemoglobin, cytochrome C, transferrin) . 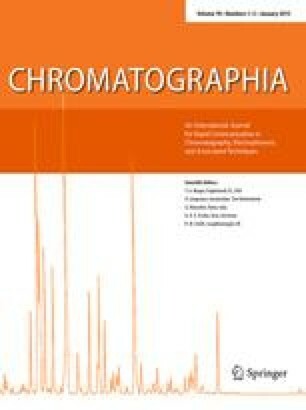 Using the same method we show in this article that human growth hormone, ribonuclease and myoglobin from horse can also be adsorbed specifically, indicating that the method may be universal or at least applicable to a great number of proteins. A gel with specific adsorption of three model proteins was synthesized in order to demonstrate that the beds can be employed to remove (traces of) several proteins contaminating a sample (“negative purification”). The degree of selective recognition is high, to judge from the fact that myoglobin from horse, but not that from whale, was adsorbed onto a column designed to bind specifically the former protein. This selectivity is noteworthy, since these two proteins have similar amino acid sequences and 3-D structures. The method for the synthesis of the specific gels involves polymerization of appropriate monomers (for instance acrylamide and its derivatives) in the presence of the protein to be adsorbed specifically, granulation of the gel formed, packing a column with the gel particles, washing the column to remove the protein and finally application of the sample for selective adsorption of the protein. The approach resembles that used for entrapment (immobilization) of proteins for affinity chromatography and that for molecular imprinting, with the distinct difference that the monomer composition is quite different and thereby the binding mechanism. This mechanism is discussed, for instance, in terms of (1) a new classification system for chromatographic beds based on the number of bonds between the solute and the matrix and the strength of each bond and (2) “non-specific bonds” (these bonds are often harmful in conventional chromatography, but we have used them to advantage). In this classification system the selective recognition is characterized by a large number of weak bonds. Therefore, so-called functional monomers are not used for the preparation of the gels because they often are charged and, accordingly, give rise to strong electrostatic interactions, i.e. the beds behave to some extent as ion-exchangers. In most experiments we have used a polyacrylamide gel with large pores to facilitate diffusion of proteins into and out of the gel granules. When used in chromatography these soft gels (which can be used repeatedly) allow only rather low flow rates. This problem can be overcome by a new approach to prepare the granules. Potential applications of the selective beds are discussed, as well as future improvements. YW's visit to the Department was sponsored by the Swedish Institute, Stockholm, Sweden.